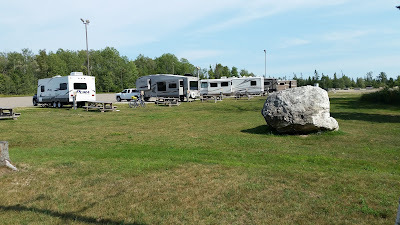 I didn't title this post as a "Campground Review" because a lot of people wouldn't consider staying at a casino in their RV as camping. 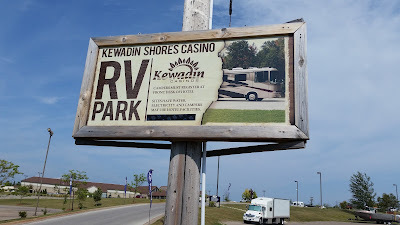 I've spent a number of days at casinos this summer and I thought I'd review my favorite, the Kewadin Shores. I'm not sure about the "Park" part but they do have a spot for RV's. Cars in the parking lot even at sunrise! 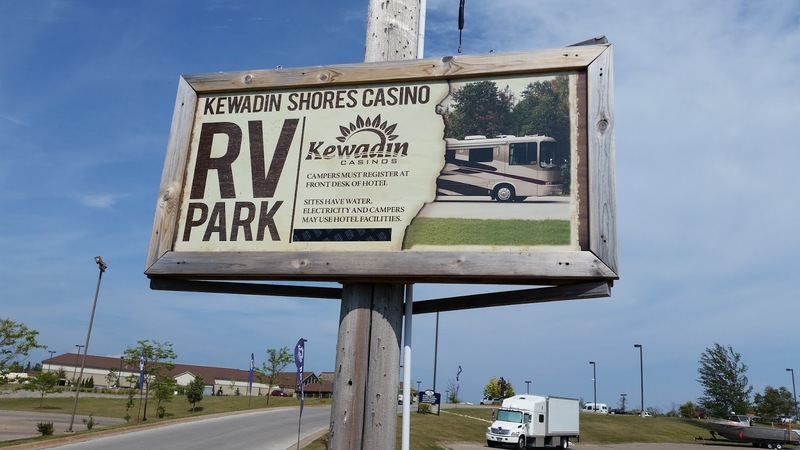 When you "casino camp" at the Kewadin Shores you have two choices, free or pay. If you choose "free" then you get to park your rig in a parking space in a large secondary parking lot at no cost for basically as many days as you want. There are no hookups with this option but there is trash service and free use of the casino's dump station. The Tank exercising the "Free" option. The "Pay" option costs $15 / night and that buys you one of the approximately 20 full hookup sites on two sides of the secondary parking lot. The sites are unshaded and gravel but do include a picnic table. 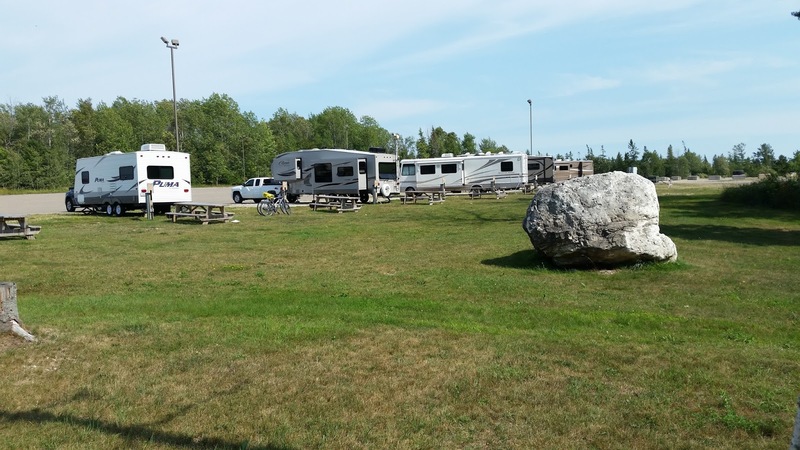 Up until this year the sites were $10 / night which was a real bargain but a casino employee said the Tribe had noticed a lot of people were renting the sites just to recreate in the St. Ignace area and refraining from ever entering the casino -- so they increased the rate 50%. Pay me now or pay me later I guess. The "Pay" experience at Kewadin Shores. The Tank has solar panels so I always go with the "Free" option and feel that I have a $15 daily stake to start with at the casino. 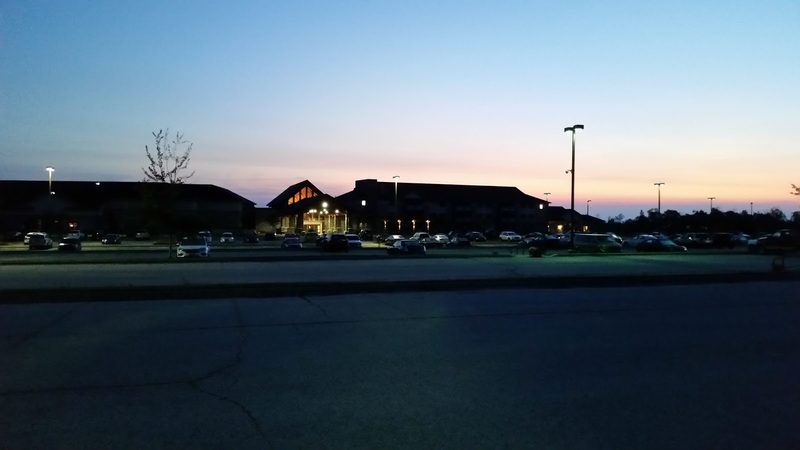 Over the three days I stayed I won $53 so I looked at it with the perspective that the Tribe paid me $17 a day to stay at their facility! 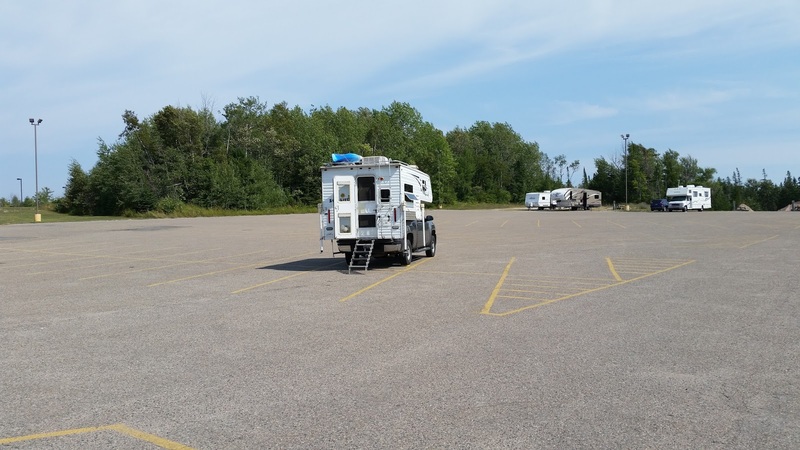 Beats the heck (at least monetarily) out of paying $25 / night for a state park site although in their defense the state parks DO offer a better camping experience than an asphalt parking lot. 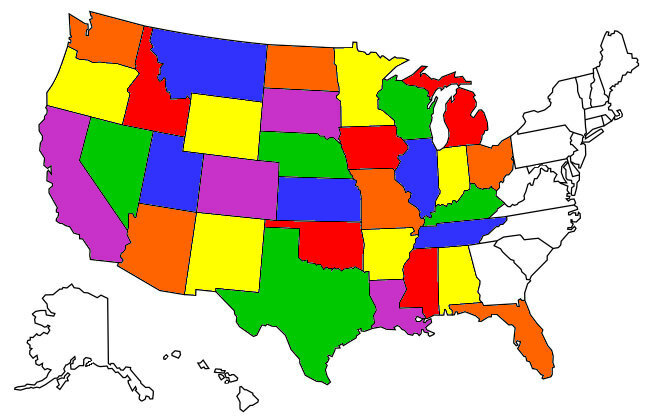 Anyway that's where I've been for a while, just thought I'd update things. I want to close out my Michigan swing by boondocking at the Blockhouse Campground in the Ottawa National Forest where I enjoyed the camping last month but the Upper Peninsula has had several days of rain and I'm concerned about getting the Tank through the muddy forest roads.....we'll see.